One of the best ways to get a prey to come to you in the field is by using an effective electronic game call like the Western Rivers Calls Mantis 75R Compact Handheld Caller. The Mantis 75R is a very popular compact handheld caller loaded with features such as 75 preloaded calls, pivoting legs with lock in position, a backlit LCD screen display, a random repeat option and a trigger sound activation button. In this Western Rivers Calls Mantis 75R Compact Handheld Caller review, we shall look at the reasons why the Mantis 75R has made name for itself as one of the most effective handheld game callers on the market. We hope that at the end of this review you will have at your disposal enough information to make an informed decision next time you are in the market looking to purchase an effective game caller. 1.9.1 Q. Who are the manufacturers of the Mantis 75R? 1.9.2 Q. Does the Mantis 75R use batteries? 1.9.3 Q. Are batteries included in the package? 1.9.4 Q. Can the Mantis 75R be controlled by a remote? 1.9.5 Q. Does the package come with a remote control? 1.9.6 Q. How many sounds does the Mantis 75R come with? 1.9.7 Q. Is it possible for me to load other animal sounds on the Mantis 75R? 1.9.8 Q. How realistic are the animal sounds? 1.9.9 Q. What is the remote control range? 1.9.10 Q. How many batteries does the remote use? 1.9.11 Q. What are some of the sounds that the device comes with? 1.9.12 Q. Can the Mantis 75R be used during the nighttime? 1.9.13 Q. Does it come with a warranty? One of the most admirable features of the Western Rivers Mantis 75R is its light and compact nature which makes it very easy to pack and carry with you on your hunting trips. Every hunter knows how important it is to have a hunting gear that is both lightweight and effective. And that is exactly what this product offers hunters. Having a light and very effective electronic game caller like the Mantis 75R is very useful for a hunter in the sense that it not only allows the hunter to carry less weight but it also allows him or her to move faster and not get tired easily. On top of all these, the Mantis 75R effectively performs its job of drawing in predators. One of the most important features of a good electronic game call is its ability to be controlled remotely, and this is exactly what the Mantis 75R offers its users. With a remote operation range of 300 feet, the user can easily operate the caller remotely. The long remote control range is very important to the hunter in the sense that it allows him or her to stay hidden from the predator (game) being drawn in. This gives the hunter the opportunity to make a quick and clean shot. In addition to giving you the unique opportunity to control the device remotely, the remote comes with a backlit LCD screen, which plays a very instrumental role in allowing you to conveniently use the Mantis 75R in low light conditions or during the nighttime. It comes with animal sounds that are so realistic that predators find it difficult resisting. This is another excellent attribute of the Mantis 75R that separates it from its counterparts on the market. Many electronic game caller manufacturers experience the problem of producing animal sounds that are realistic enough to deceive predators. The manufacturers of the Mantis 75R have been able to surmount this challenge and have produced realistic sounds that have the ability to fool all manners of predators with great ease and draw them in. Another highlight of the Mantis 75R is its durable rubberized grips that seamlessly attach to the pivoting legs with lock in position. Why is this feature important? It is important for a number of reasons, the most prominent being it allows you to set up the call and let it stand on its own without bothering about it rolling away. It is an effective game caller. It is compact and very portable. It comes with as many as 75 pre-load game calls. The animal sounds are realistic and convincing. It is durable and rugged. It comes with a random repeat option. It has a trigger sound activation button. It has a backlit LCD digital display. It can be used both during the daytime and the nighttime. The durable pivoting rubberized legs it comes with allows for hands-free use. Many consider the remote worthless since it is not possible to use it to change the call type or control the volume. The only useful thing that the remote can do is to either pause or play the sounds. Q. Who are the manufacturers of the Mantis 75R? A. The product is manufactured by Western Rivers, a company that has for over three decades gained a reputation for producing top quality outdoor gear. Q. Does the Mantis 75R use batteries? A. Yes it is battery operated. It runs on 4 “AAA” batteries. Q. Are batteries included in the package? A. No. You have to purchase the batteries separately. Q. Can the Mantis 75R be controlled by a remote? Q. Does the package come with a remote control? Q. How many sounds does the Mantis 75R come with? A. It comes with 75 pre loaded calls. Q. Is it possible for me to load other animal sounds on the Mantis 75R? A. No. It is not possible for you to load other sounds. Q. How realistic are the animal sounds? A. The Mantis 75R emits very realistic sounds with excellent clarity. Q. What is the remote control range? A. The Mantis 75R has a remote operation range of about 300 feet. Q. How many batteries does the remote use? A. The remote uses a single CR2032 battery. Q. What are some of the sounds that the device comes with? A. 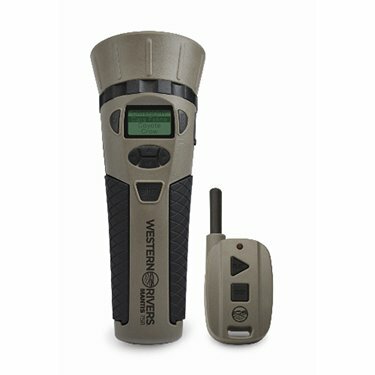 Some of the numerous sounds that come with this device include the following: wolf, coyote, rabbit, fox, duck, turkey, duck, bobcat, elk etc. Q. Can the Mantis 75R be used during the nighttime? A. Yes it can! The LCD screen readout comes with a backlit display that allows you to see at night or when the atmosphere is not very bright such as during pre-dawn. Q. Does it come with a warranty? A. Yes it does. Because of the trust Western Rivers has in their products, they back them all with warranties. In addition to being very efficient in drawing in all manners of predators, the Mantis 75R is also easy to use, durable and relatively affordable. Whether you are a beginner or an experienced hunter, the Mantis 75R comes equipped with many good features that could make it ideal for you during your next hunting expedition. We hope that the review above has been very informative to readers. 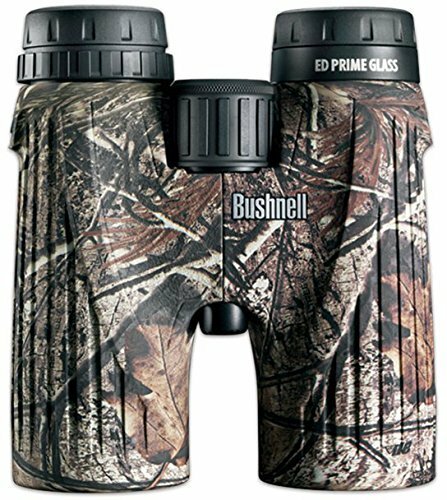 Click the link to read the Top Electronic Game Calls of 2016 with Buying Guide.